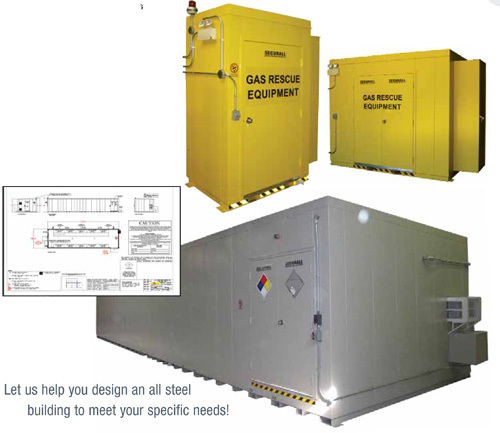 Our Sales and Engineering teams are ready to help you design a storage building for your special application. While our standard models are designed for chemical storage, pesticide storage, and hazardous material storage, custom models can be designed for any purpose. Our decades of fabrication experience enables us to construct the highest quality storage building for just about any storage need.Sodon'thesitatetoask; wecan probably build it!